These unicorns have on their cozy scarves and are all ready for Christmas! 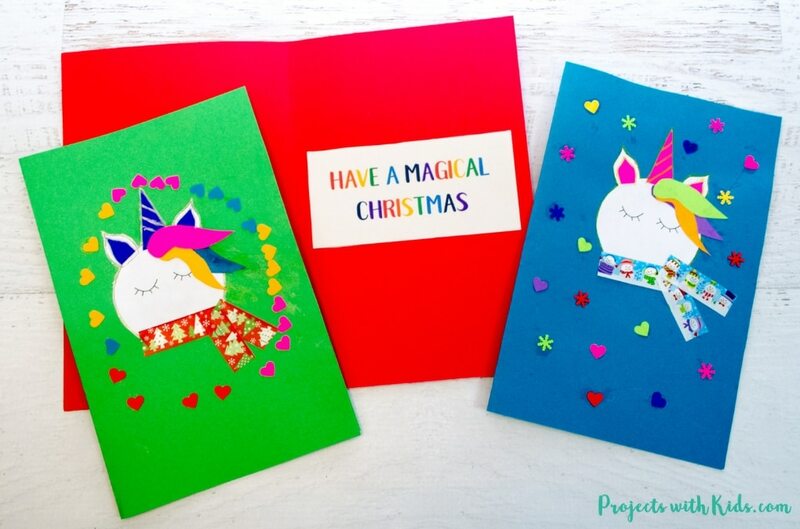 Spread some holiday magic this season with these adorable and colorful unicorn Christmas cards. 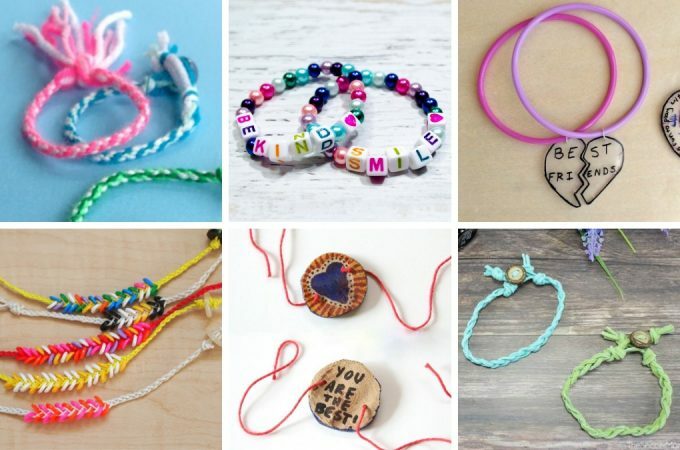 Kids will love making them for their friends and family this Christmas. 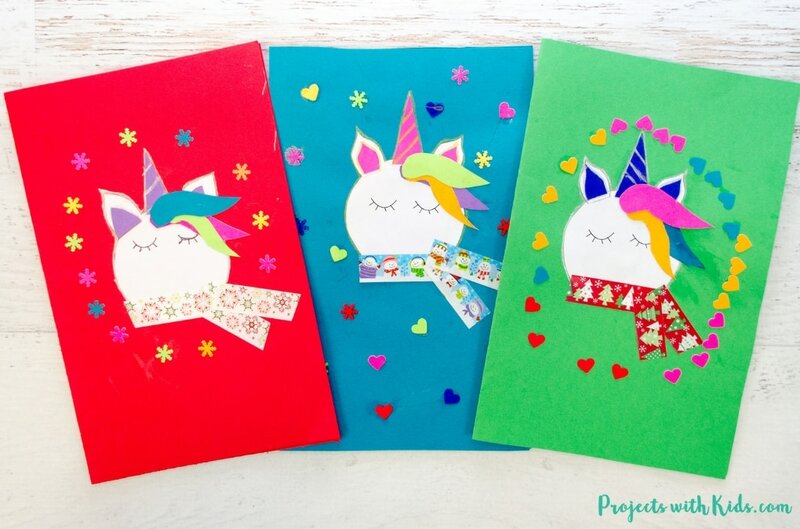 You can draw your own unicorns if you like or you can use the free printable template that I created as part of my resource library for my email subscribers. Click here to sign up and gain access to my printable resource library. You will receive a welcome email with all the details. 1. Print out your template and cut everything out. 2. 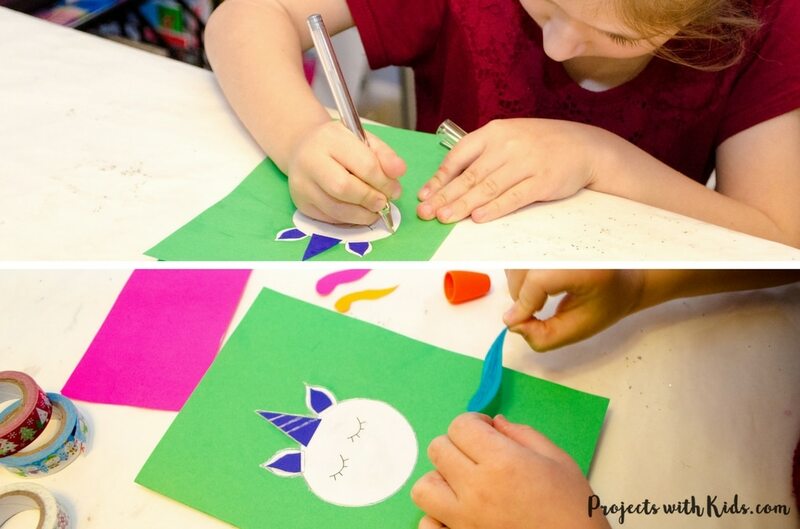 Trace the horn, smaller ears and hair pieces onto different colored paper of your choice. Cut your colored templates out. Take your cardstock and fold in half to make your card. 3. 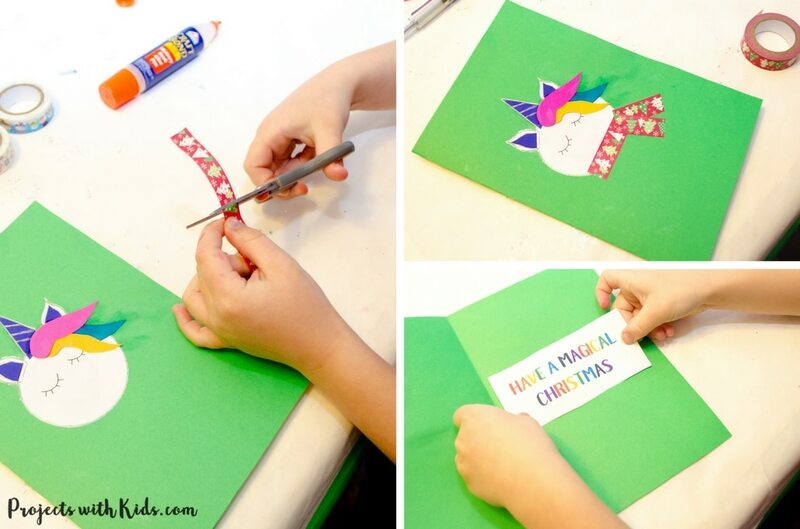 Start with the unicorns head and glue it onto the front of your card. Next, glue the ears and horn on. Let the glue completely dry. 4. Once the glue is dry, outline the head, ears, and horn with a gold or silver pen. Add in 3 stripes with gold or silver to the horn. 5. Glue the hair pieces down, glue the bottom first, then the middle and the top piece last. 6. Your unicorn is now ready for a cozy scarf! Make your scarf out of three pieces of washi tape. First cut a piece to go across the bottom of your unicorn, then add two more pieces on the side. 7. 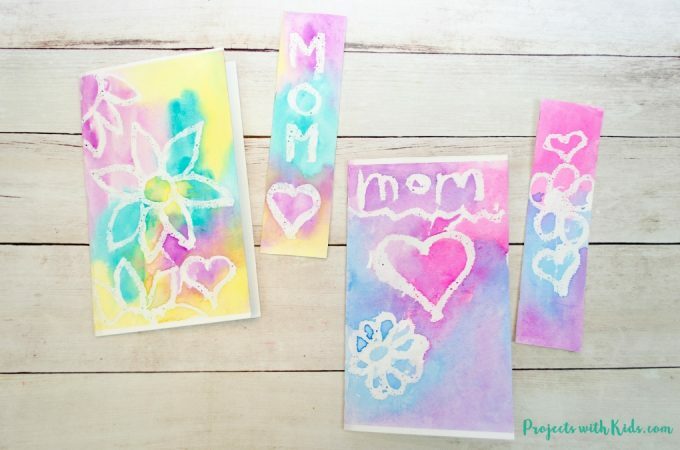 Using your paper punches, punch out colorful snowflakes or hearts or both and glue them around the front of your card. My daughter wanted to make a wreath of hearts around one unicorn and a wreath of snowflakes around another unicorn. 8. When you are done the front of your card, glue in your message on the inside. 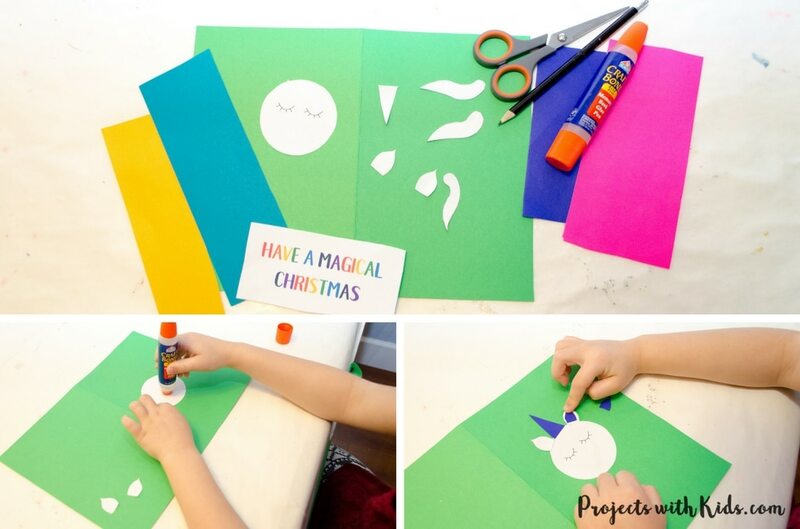 Your card is now done and ready to spread some holiday magic! 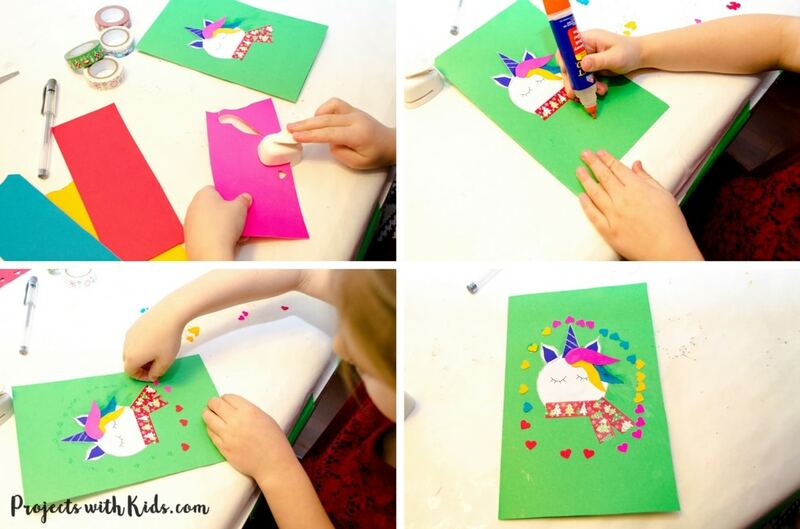 These unicorn Christmas cards were so fun and easy to make, my daughter is excited to give them to her friends! If you haven’t already, click here to sign up for my newsletter and gain access to my free resource library. 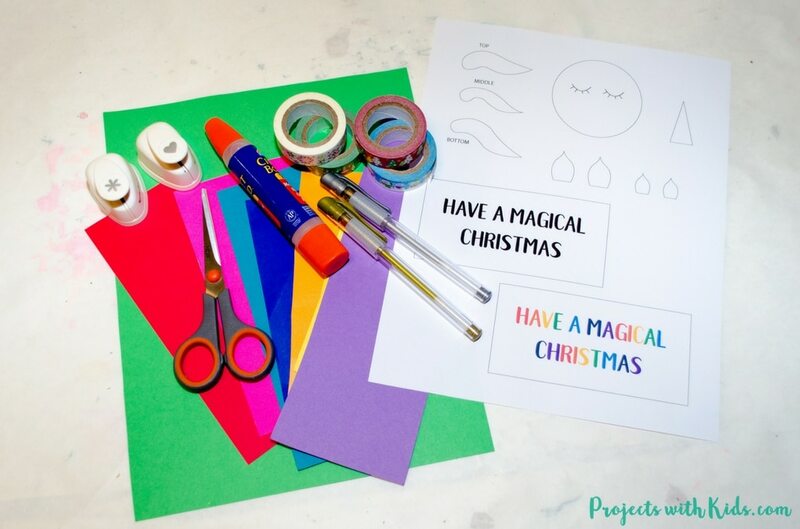 My resource library is full of awesome printables for kids, like these adorable Christmas gift envelopes that are perfect for small gifts and treats. You might also like this sparkly gold Christmas garland with paper straws or these magical Christmas lanterns for more fun Christmas craft ideas. 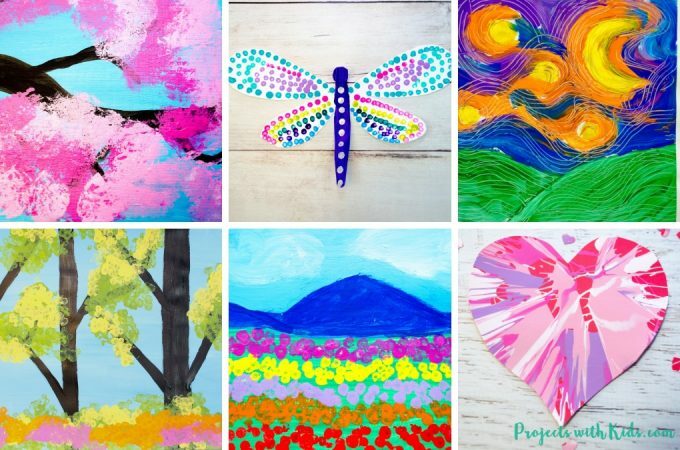 Follow me on Pinterest for more great project ideas! How cute! I love unicorns. I think my son would have fun making these cards. Thank you Michele, we also love unicorns! My kids love unicorns! This is a great idea of something they would enjoy making for others this holiday season. Oh they are adorable! 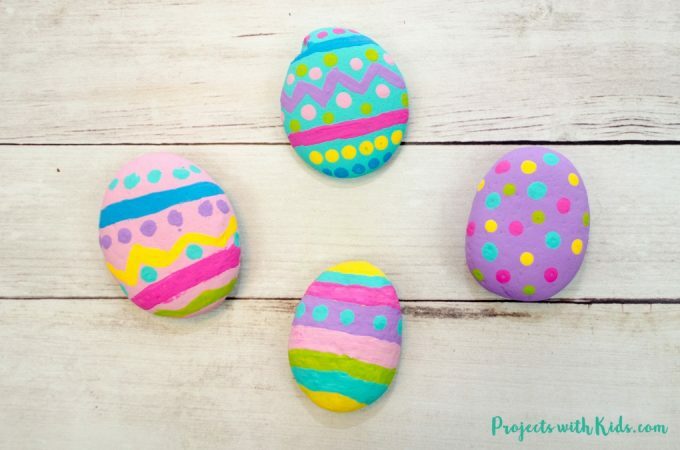 My daughter loves unicorns so I know she will enjoy making this! Thank you Jhanis, we also love unicorns! Thanks Hannah! I also love the scarves.